Paul Traub, a senior business economist at the Detroit branch of the Federal Reserve Bank of Chicago, will discuss the status of the current economic recovery when he presents the fifth annual Harold Hotelling Memorial Lecture on Wednesday, Nov. 19, at 7 p.m. at Lawrence Technological University, 21000 West 10 Mile Road, Southfield. The annual lecture, which is free and open to the public, is entitled “Recovering from the Great Recession: U.S. and Michigan Economic Outlook.” It will be held in the Mary E. Marburger Science and Engineering Auditorium in LTU’s Science Building. The current economic recovery is now more than five years old, and the average economic expansion since 1961 lasts just under six years. Traub will discuss the possibility of the economic recovery from the Great Recession being impacted by a normal business cycle contraction. Comparing this recovery to others in the past, he will provide analysis of consumption, private investment, global trade, and federal and local government consumption and investment, as well as the Fed’s role in promoting a full economic recovery. 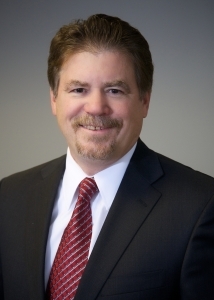 Traub previously was a corporate economist with Chrysler LLC for 25 years. He serves on the advisory board of LTU’s College of Management. The annual Hotelling lecture honors the memory of Associate Professor Harold Hotelling, who died in 2009 after teaching in the College of Arts and Sciences at Lawrence Tech for 20 years. He taught courses in business law, business ethics, constitutional law, urban social issues, and law and economics. He is remembered for his keen intellect, tireless devotion, quick wit and wonderful sense of humor.